Set with glittering cubic zirconia, this beautifully crafted sterling silver heart pendant will add a feminine finishing touch to her look. Indulge in a little romantic style. 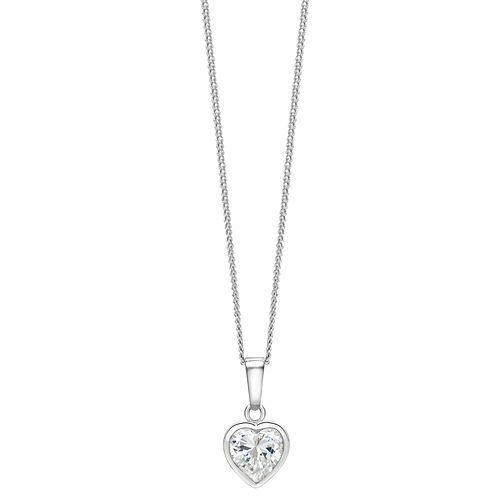 Sterling Silver Cubic Zirconia Heart Pendant is rated 5.0 out of 5 by 2. Rated 5 out of 5 by Anonymous from Perfect! Bought this for my friends birthday and she loved it so much she cried! The shipping was very fast and the quality is amazing! I will definately be ordering from this company again.